Cut out 3 sections of 10oz PVC for the deck. On the Sea Bee, the forward deck section is 6′ 6″ X 26″ ( 2 inch overlap per side). 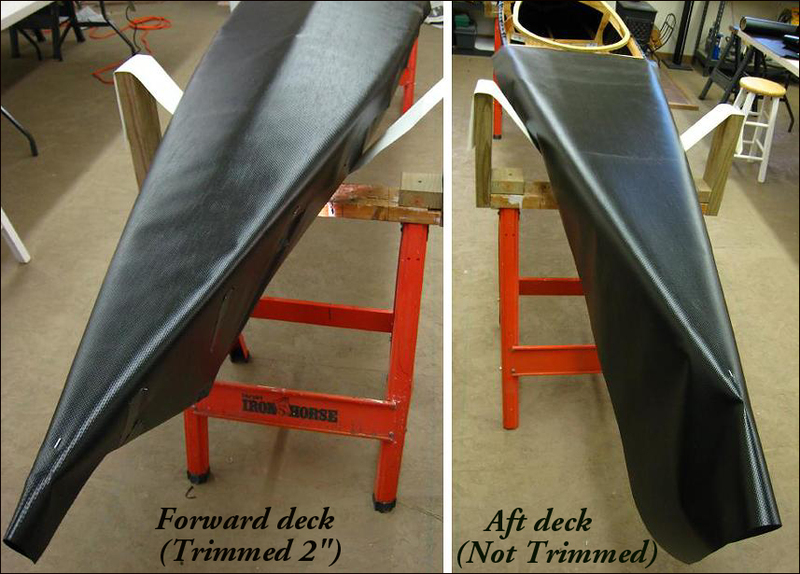 the aft deck is 5’6″ X 26″, and the coaming section is 26″ X 40″. Staple the aft skin at the stern ( 1 staple) and also at the back of coaming at the gunwales ( 2 staples). All sections will next be trimmed to fit the exact dimensions.